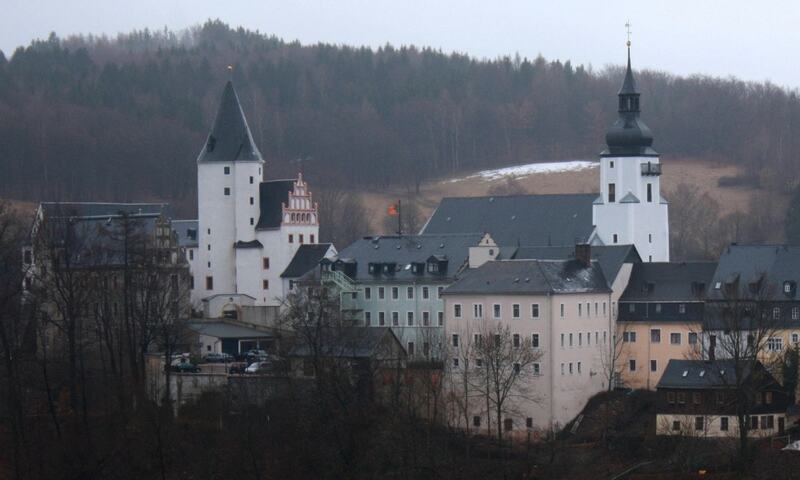 Schwarzenberg Castle was based on a medieval fortification and together with St. George's Church dominates the scene of the large county town of Schwarzenberg in Saxony. The castle was probably founded in the 12th century as a fort and was the original base for the settlement of Schwarzenberg and its vicinity. The former castle was given its present appearance by a conversion into a hunting lodge for the Electorate of Saxony. In 1851/52 its keep and south wing were raised and, later that century, an office building extension was added.